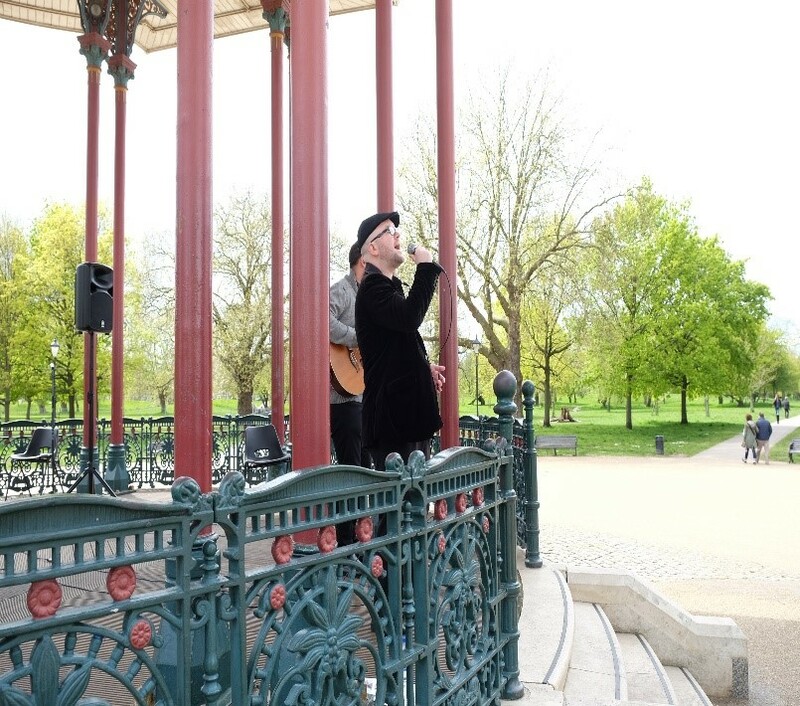 The bandstand at Clapham Common came alive on Saturday 30 April for Common People. 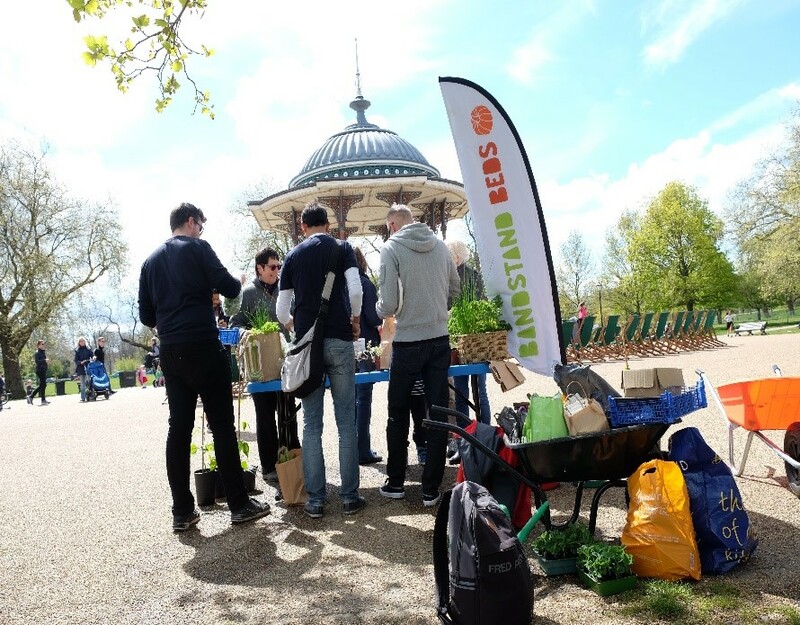 This event organised by Bandstand Beds (but really David and Simon!) 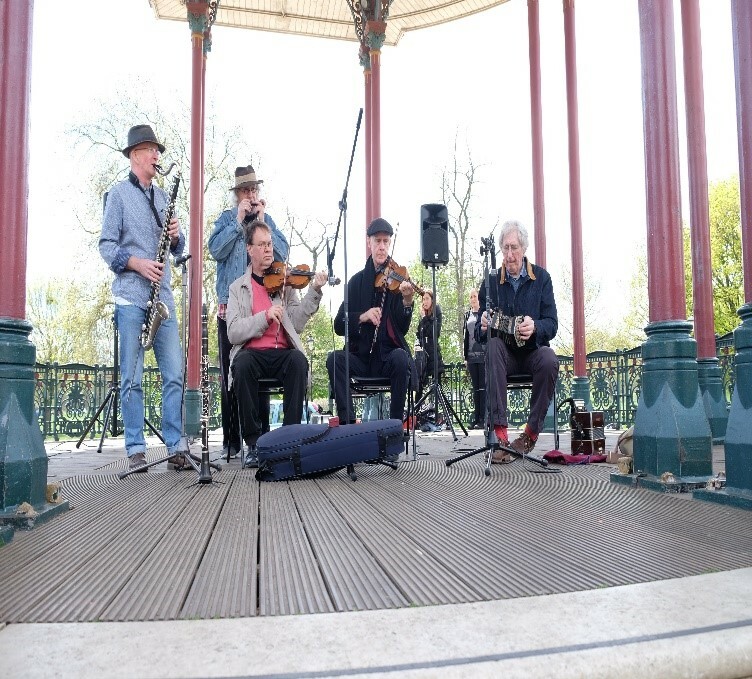 and supported by This is Clapham, was a lovely spring celebration. We had a typical April day of sunshine and threatened showers, which luckily managed to steer clear of us. 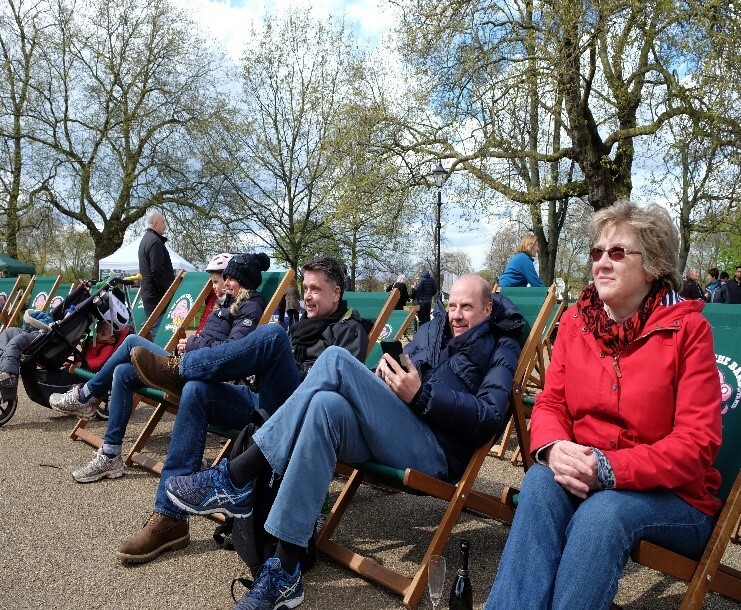 Local community groups supported the event with stalls, including the Friends of Clapham Common and The Clapham Society, who led a historical tour of the Common mid-afternoon. The Spinney talked about natural thinkers activities and their Satruday Mudlarks Club to parents and children, while Dr Bike was on hand to give advice on cycle safety and maintenance. 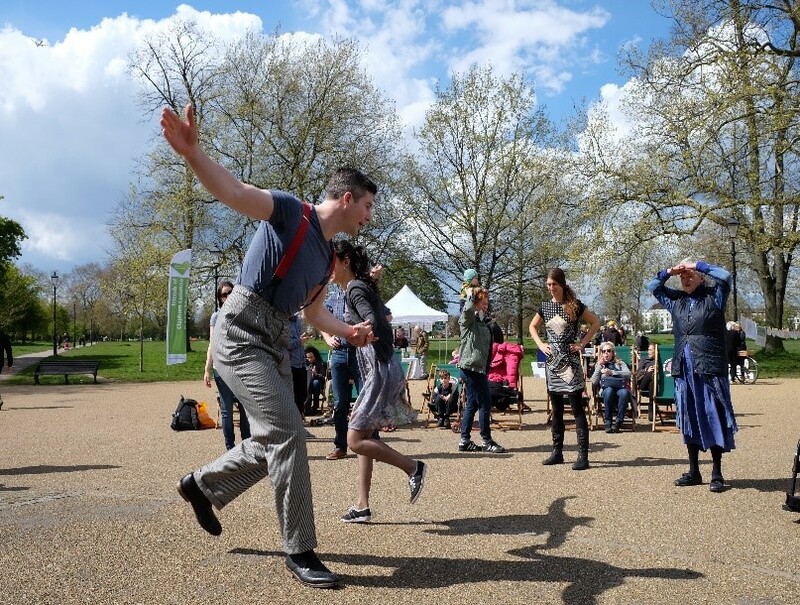 Most of all people gathered to hear music, spoken word and join in a free swing dance class!. Our plant stall with our new flag banner shone in the sunshine. The herbs, beans and tomato plants proved very popular as well as bags of salad and kale freshly harvested from the polytunnel. Dee and Esmée performed some magic with their face painting again, and we joined in a delicious bring and share picnic. Our plant stall proved to be really popular! 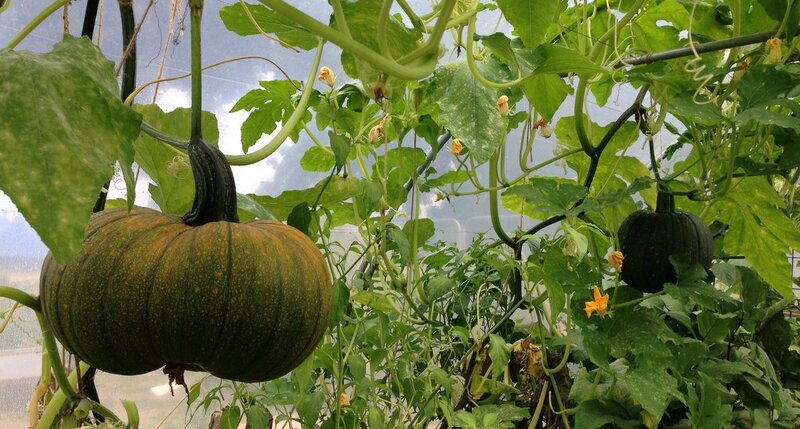 We were joined by Sue Sheenan and Wayne Trevor from Incredible Edible Lambeth Incredible Edible Lambeth. 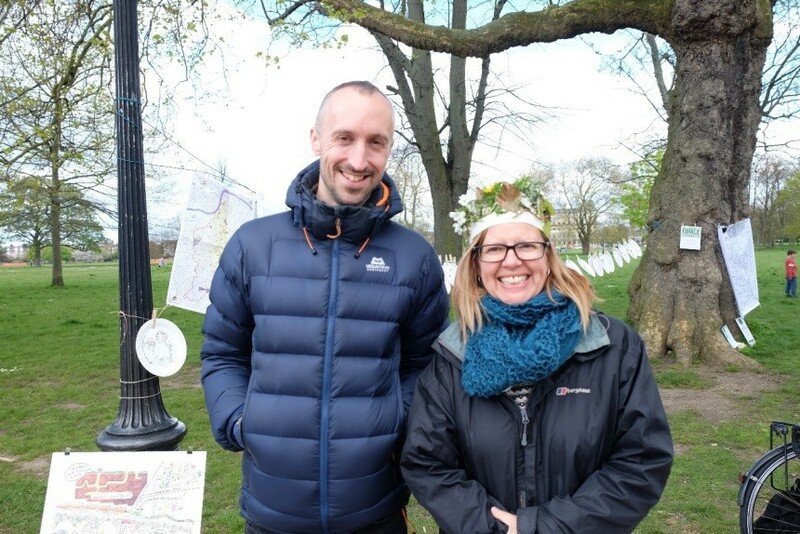 Wayne shared information about the Open Orchard Project and Sue introduced folk to the idea of creating Clapham Food Stories – and as you can see she also joined in with the The Spinney’s natural thinkers activities! All in all Common People was a fantastic free event enjoyed by everyone. 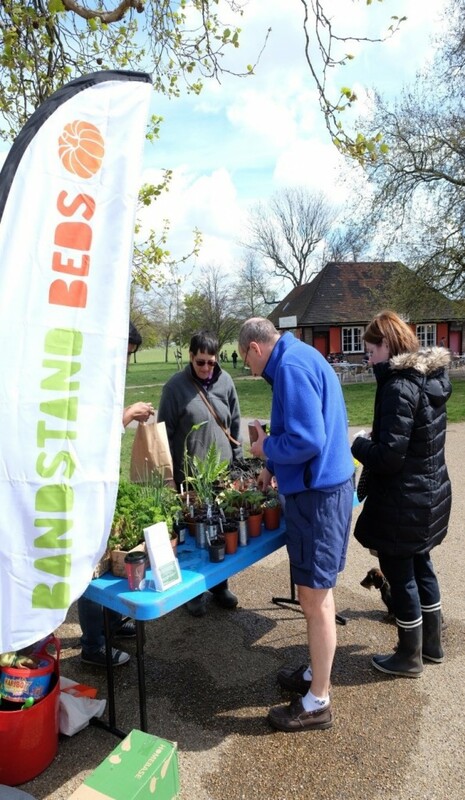 Come and see us on Saturday mornings at the community garden, or follow us on Twitter @bandstandbeds to find out when and where our next event will be.